Alaska Native News Oct 12, 2016. Alaska State Troopers on Prince of Wales Island received a Domestic Violence call from Wadleigh Island, across the channel from Klawock at 9:50 am on Monday and responded to the location, the trooper dispatch reported. When troopers reached the scene, their investigation found that 28-year-old Edward L. Isaacs Rusch-Guthrie, who had fled the scene prior to their arrival, had “brandished and discharged a shotgun” during an altercation at the residence. 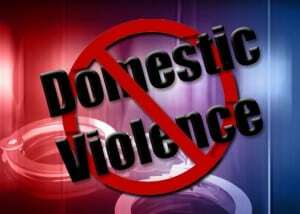 During the incident, $550 worth of damage property was also done, his spouse was assaulted and two children endangered. Guthrie, who had earlier fled, returned to the residence and gave himself up. He was charged with Assault III-DV, Assault IV-DV (x2), Reckless Endangerment-DV (x2), Criminal Mischief IV-DV.